BIOMDLORE 2018 is a multidisciplinary international conference that provides the ideal opportunity to bring together professors, researchers and students of different disciplines for bridging the gap between engineering and medicine, discuss new issues, and discover the most recent researches in all fields of Biomedical Engineering in a multicultural atmosphere. "This conference provides you the one and only opportunity to meet with a wide diversity of other scientists in the Netherlands working in the field. As a networking conference, you are invited to present your latest work (might already been presented before at another conference), as to give an overview of the developments in the Dutch Biomedical community. The goal of the conference is to meet each other and to discuss new (funding) opportunities within the Netherlands to initiate new research. PhD students are especially encouraged to submit their work, or even their plans. For them it is an opportunity to start building their own network with peer PhD students at other universities. (The committee) will organize sessions covering the broad field of biomedical engineering, e.g. 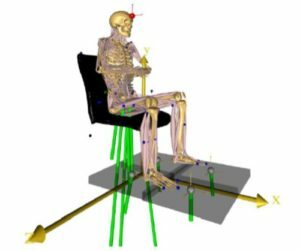 in cardiovascular modelling, image acquisition and processing, surgical instruments, tissue and cell engineering, neural modelling, diagnostics and stimulation, nanobiology, data processing and visualization, etc. The field of Biomedical Engineering is a rapidly developing field, with many breakthroughs at the edge between medical and technical sciences. Therefore, medical scientist as well as engineering scientists are explicitly invited to this conference to discuss their latest insights and discoveries. Scientists from University Medical Centers as well as from the Technical universities will participate." (From the website:) "CMBEBIH is an exciting, informative and inspiring conference with aim of sharing ideas, experiences, best practices and latest advancements in Biomedical Engineering and all related fields. 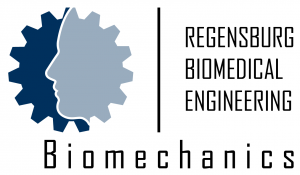 The mission of the event is to promote Biomedical Engineering worldwide, especially in the region of Southeast Europe, as well as to establish and strengthen scientific collaborations. The event aims to bring together leading researchers, academic scientists, engineers, scholars to create a platform for discussion on latest findings, innovative solutions and emerging challenges in the field, in order to improve quality of healthcare and life in general." All days will be a mix between theory and applied hands-on modeling. If you have further questions, please contact alexander.leis (at) oth-regensburg.de / +49 941 943-5291.
of the "Ostbayerische Technische Hochschule Regensburg" in Germany. Julius Griškevičius from Vilnius Gedimino Technical University presenting at #OTHRegensburg during his #Erasmus stay.